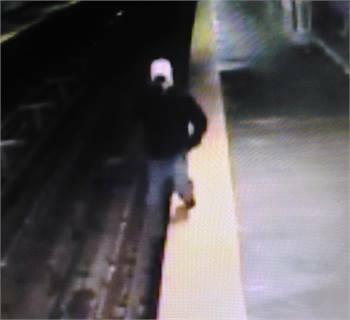 Surveillance footage shows a man at the Berks Station on SEPTA's Market-Frankford subway-elevated line talking on his phone, walking off the platform and falling into the track area. He was not seriously hurt. Super-fast smartphones, tablets and other mobile electronic equipment have not only put the world in the palm of our hands, they have also succeeded in steering our attention away from our immediate surroundings. Over the past year, SEPTA officials have responded to a few track fall incidents each month throughout the transit system, with a majority of those happening on the Market-Frankford subway-elevated and Broad Street subway lines. Surveillance cameras often show people — some impaired or under the influence, others talking or texting on their phones or otherwise distracted — walking past the yellow warning strip and landing into the track area. In some of the videos, those who fall are looking up or down the track for the train, stepping over the warning strip to do so. Amazingly, only one of these falls has resulted in a fatality. On April 29, 2014, a woman survived a fall into SEPTA’s Broad Street Line tracks even though her leg hit the third rail, which was fully powered. To decrease track fall incidents, SEPTA is making distracted commuting the focus of its second annual systemwide “Make the Safe Choice” Safety Day. On May 21, 500 of the transit system’s employees will distribute educational materials and answer safety questions at 120 SEPTA rail, trolley and bus stations; loops and transportation centers throughout SEPTA’s five-county service area during the morning and evening rush hours. 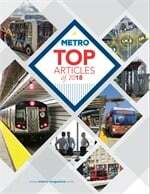 Read our METRO blog, "Advancing women in transportation: Closing the gap"